Evacuations are more common than many people realize. Fires and floods are the most frequent causes of evacuations in the United States, and almost every year, people along coastlines evacuate as hurricanes approach. In addition, transportation and industrial accidents release harmful substances hundreds of times a year, forcing many people to leave their homes. In some circumstances, local officials decide that the hazards are serious and require mandatory evacuations. In others, local officials advise evacuations and individual households can decide to evacuate to avoid situations they believe are potentially dangerous. When community evacuations become necessary, local officials provide information to the public through the media. In some circumstances, other warning methods, such as sirens, text alerts, emails or telephone calls are used. The amount of time you have to leave will depend on the hazard. If the event is a weather condition, such as a hurricane, you might have a day or two to get ready. However, many disasters allow no time for people to gather even the most basic necessities, which is why planning ahead is essential. There may be conditions under which you will decide to evacuate, or there may be situations when you are ordered to leave. Follow these guidelines for evacuation planning. Plan how you will assemble your family and supplies, and anticipate where you will go for different situations. Choose several destinations in different directions so you have options in an emergency and evacuation routes to get to those destinations. Plan places where your family will meet, both within and outside of your immediate neighborhood. 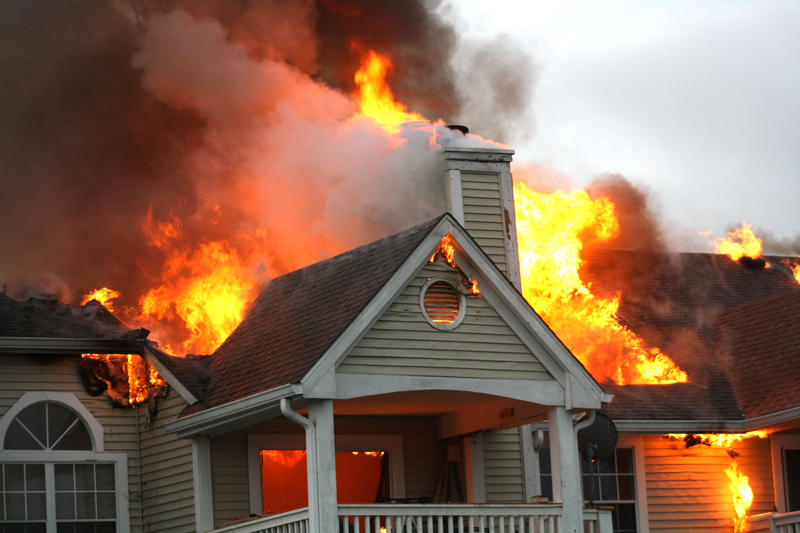 Use your family emergency plan to decide these locations before a disaster. If you have a car, keep a full tank of gas in it if an evacuation seems likely. Keep a half tank of gas in it at all times in case of an unexpected need to evacuate. Gas stations may be closed during emergencies and unable to pump gas during power outages. Plan to take one car per family to reduce congestion and delay. Become familiar with alternate routes and other means of transportation out of your area. Leave early enough to avoid being trapped by severe weather. Be alert for road hazards such as washed-out roads or bridges and downed power lines. Do not drive into flooded areas. If you do not have a car, plan how you will leave if you have to. Make arrangements with family, friends or your local government. Listen to a battery-powered radio and follow local evacuation instructions. Take your pets with you, but understand that many public shelters only allow service animals. It’s best to have an advance plan for how you will care for pets in an emergency. Call or email the out-of-state contact in your family communications plan. Tell him or her where you are going. Secure your home by closing and locking doors and windows. Unplug electrical equipment such as radios, televisions and small appliances. Leave freezers and refrigerators plugged in unless there is a risk of flooding. If there is damage to your home and you are instructed to do so, shut off water, gas and electricity before leaving. Leave a note telling others when you left and where you are going. Wear sturdy shoes and clothing that provides some protection, such as long pants, long-sleeved shirts and a cap. Check with neighbors who may need a ride. In addition to insuring your home, General Southwest Insurance Agency is committed to helping you and your loved ones stay safe when emergencies strike. If you would like more information on preparing for disasters, click the links below or contact us at (480) 990-1900. For additional safety tips visit the Answers & Advice page on our website, where you’ll find useful information on protecting your family, home, auto and business.